Memorial Day marks the start of summer, when millions of Americans head to beaches to enjoy time in the sun. It’s not just people who flock to the shore this time of year. 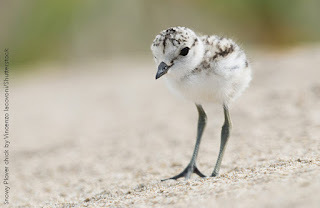 Many birds have already staked out their own space on the beach, choosing nesting sites on the sand and raising their young along the shoreline, in the dunes, and in nearby marshy areas. American Bird Conservancy is urging beachgoers to be mindful of breeding birds that share our vacation spots and help coastal birds this summer. --Watch where you step. Beach-nesting birds lay their eggs directly on the sand, and those eggs are camouflaged to blend in with their surroundings. ABC recommends that beachgoers avoid areas where large congregations of birds occur. --Pay attention to signs. Visitors should respect areas that are roped off or marked with signs indicating that beach-nesting birds are in the vicinity. --Teach children to play responsibly and avoid nesting areas. Encourage kids to learn about and watch out for birds. Ask them to play ball and fly kites away from posted areas to avoid disturbing bird families. --Don’t feed gulls. Feeding them draws in even more gulls, which are predators of eggs and vulnerable chicks on the ground. If they become accustomed to being fed, gulls can also become a nuisance for people. --Keep your dogs on leashes—or at home. Free-roaming dogs can eat eggs and chicks and even kill adult birds. Dogs can also overheat at the beach, so for their safety as well as that of the birds, they may be better off at home. --Know the cues. Beachgoers often can’t tell the difference between a bird that is simply sitting on the sand and one that is tending eggs, a nest, or baby birds. But certain signals and behaviors indicate the presence of nesting birds. --Stay close to the water. Most nesting birds tend to use higher parts of the beach, away from the surf. It should be possible to avoid conflict with beach nesters so long as people remain close to the water and away from the dunes or areas behind dunes. For all list information and functions, see: http://npogroups.org/lists/info/abcbirds-news.